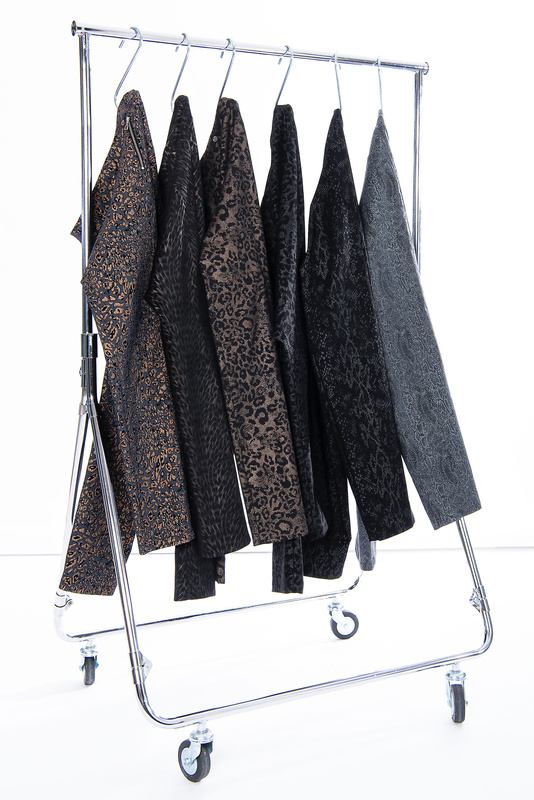 Robell AW18 are a mix of beautiful fabrics and textures. From velour to needlecord to fleece lined, animal print or fabulous bengaline fabric in a beautiful mix of seasonal autumnal hues. 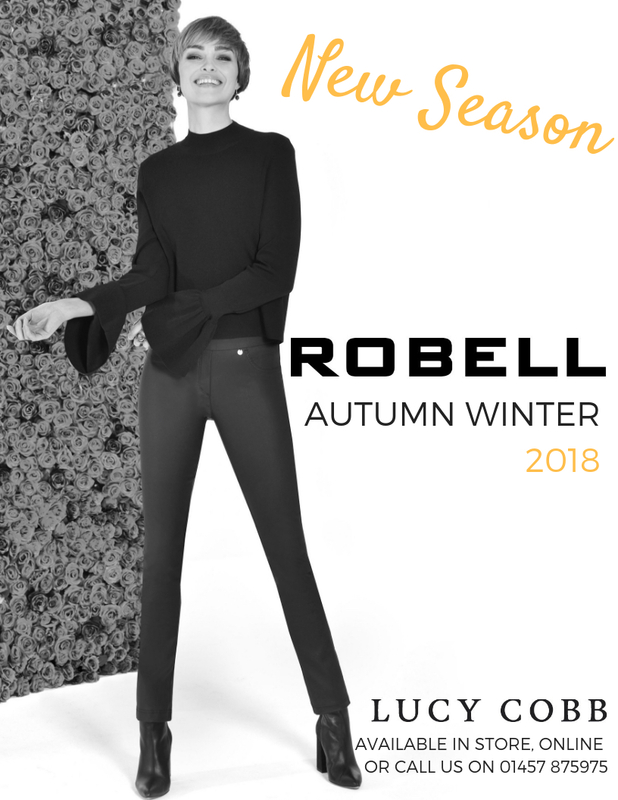 Robell Marie are a full length trousers which we sell from size 6 to 26 and tick the box for ladies who are tall and love a straight leg trouser that is comfortable and stylish. The Marie trouser has a small vent at ankle on the outside of the leg and is a 41" length. The Robell Marie style is made in Germany and Lucy Cobb are a leading stockist in the UK. We send out most orders on the day they arrive in and we send to all corners of the UK, Europe and worldwide. In fact anywhere at all, except Mars! We sell Robell Bella 09 in huge quantities in the summer months when ladies want a 7/8 length. A lot of ladies find the Bella 09 is full length on them, they have a turn up at the bottom and 2 back pockets. The leg is wider than a narrow fit Rose style and is designed for ladies who don’t carry weight on their tummies and tend to on their legs. The elastic waist fits everyone. It has a faux zip and is a pull in style like most Robell trousers. Got a hollow back? Worry not...Lucy has too and the Robell Bella 09 fit like a glove! No slipping down. No need for a belt. Just the most perfect fit on the waist. 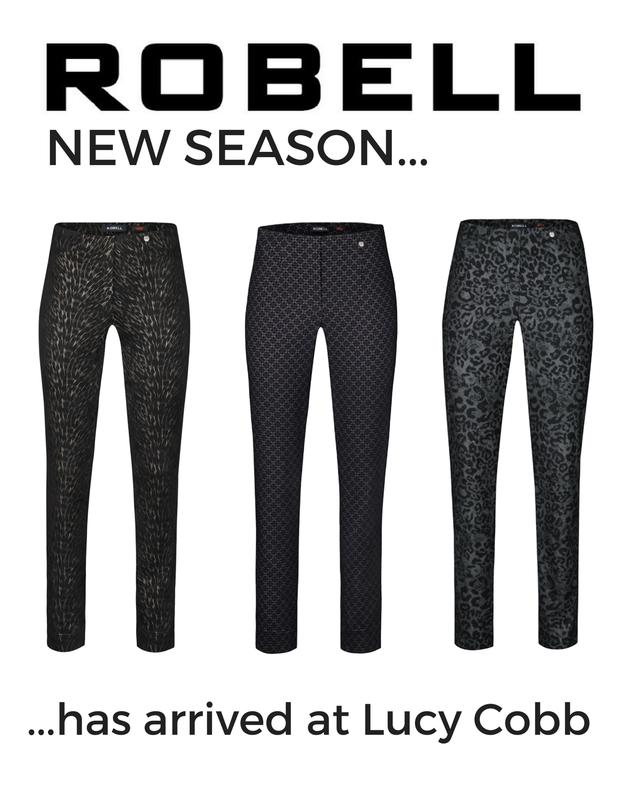 In the winter we sell more full length Robell trousers...Marie, Bella and Rose full length. The Rose style trouser is our slimmest leg. It has a vent at the back of the leg. It is a fabulous no zip, flat front, no pocket trouser that will take you anywhere, day or night. Ladies often like wearing these as an alternative to a legging. It comes in the same bengaline fabric as the Marie and the Bella and also in various pattern fabrics and finishes. We are really proud of our 487 5 star reviews. Our dedicated team of girls work really hard to provide our loyal customers with the best service in the fashion industry. We offer 10% off for your first order with us. We give advice on how the various styles fit and work for different body shapes. We also give advice on sizing up or down depending on your body shape and style. We advise on colours to suit your skin tone and existing wardrobe. Neutrals or brights. Darks, pastels or lights. We sell them all. In all styles and colours.